Last year, Save Money Crew's Towkio stepped out on his own with the .Wav Theory mixtape. Now, the performer has revisited that project, treating "Clean Up" to a new music video. 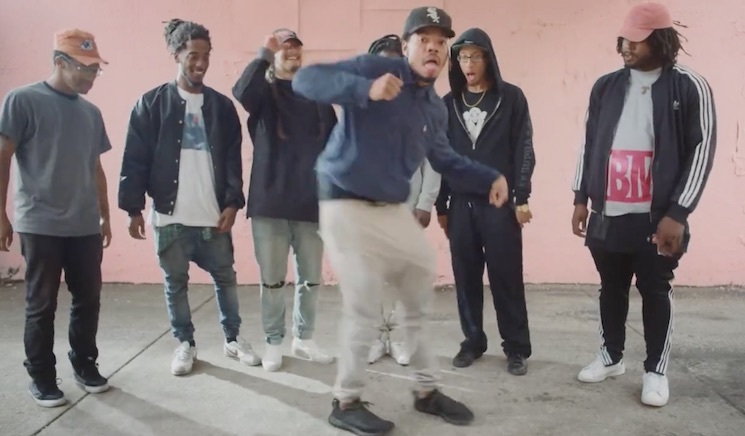 The song marks one of two collaborations with fellow Chicagoan Chance the Rapper, and both are on display in the video. You'll have to strain if you want to see them, however — the video is a blurry hurricane of quick footwork dance moves. It pairs perfectly with the song. Watch the video for "Clean Up" below.